The question of African unity has been on some front pages this week as the African Union (AU) reflects on 50 years of existence, with the Organization of African Unity (OAU) being its earlier incarnation. A unified Africa, under one continental government, remains the best solution for dealing with Africa’s myriad problems, in this 21st century and beyond. A United States of Africa, with a continental army, would secure control of the continent’s immense wealth for the benefit of its people and for uplifting millions out of poverty. Counting Africa south of the Sahara alone, the armed forces would have about 2 million men and women under arms; combined with the north African armies the total would be more than four million. By comparison: India has 4.7 million; China has a total force of 4.5 million; Russia 3.5 million; the United States, about 2.3 million; and, Britain 400,000. Africa is endowed with almost every type of natural and mineral resource wealth. Yet these are currently primarily used to fuel the economies of the industrialized countries, and the emerging ones such as China’s, India’s and Brazil’s rather than for the benefit of African countries. The Democratic Republic of Congo (DRC) alone contains mineral and natural resources whose value is estimated at nearly $30 trillion. These include: high quality timber; gold; diamonds (30% of the world’s reserves); coltan (70% of the world’s reserves); copper; cobalt; and, many other minerals. Yet Congolese remain impoverished. Foreign powers allow bandits financed by Rwanda and Uganda to wreak havoc in Congo’s eastern region, which contains most of its resources. Under this planned chaos, private corporations enjoy absolute rent; they siphon off Congo’s resources through Rwanda and Uganda without paying fees or taxes to the central government. In the meantime, the bandit militias have ethnically cleansed the resource-containing zones through depopulation to make it easier to plunder resources. Ten million Congolese have perished since Rwanda and Uganda first invaded in 1997. The military and political elite in Rwanda and Uganda have become wealthy under this profitable genocide: the Western corporations that purchase the blood minerals have profited the most. The Western powers allow genocide in Congo without any consequences to the political and military leadership in Rwanda and Uganda. The major media outlets such as The New York Times, CNN and the BBC, which could influence public opinion to demand that Western powers sanction Rwanda and Uganda remain silent; they essentially aid and abet genocide in Africa. The media outlets are very partisan when making demands that suit their interests: such as calling for intervention in Libya and Syria. Congo’s tragedy is only one of many other illustrations of the type of calamity that Kwame Nkrumah feared would beset the continent, if Africa did not unite. Nkrumah himself had tried to prevent the earlier attempt to dismember Congo, that led to the murder of Patrice Lumumba by Belgian agents and Moise Tshombe’s collaborationist regime. Nkrumah appealed for continental unity when leaders of newly-independent African nations first met on May 24, 1963 in Addis Ababa, Ethiopia, to form the Organization of African Unity (OAU); the predecessor of the AU. Nkrumah warned that decolonization on paper was not sufficient to protect African countries. Western countries would still need the continent’s vast mineral and natural resource wealth to continue fueling their economies. He noted that half the gold at Fort Knox, in the United States, originated from Africa. So long as African countries remained weak and divided, their economies would remain underdeveloped unless they could change the terms of trade with the industrialized countries, Nkrumah warned. This is because Western countries determined the price at which raw materials from African countries were sold to the industrialized countries; these same industrialized countries also controlled the price at which African countries purchased manufactured products from them. Nkrumah called this a “neo-colonial” relationship; he said it would ensure that African countries remained impoverished. And without the ability to protect their resources, eventually, African countries would not be able to protect their national sovereignty, their boundaries, or their formal independence from colonial powers such as Britain and France. 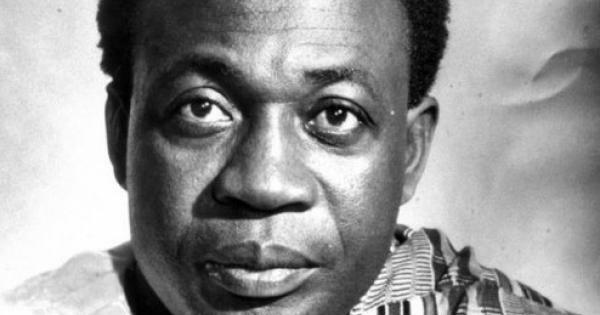 African countries had to deal on equal terms with the industrialized world, Nkrumah said. This could only be accomplished if the individual African countries came together under one umbrella: with a continental government; a continental currency; a continental national armed forces; and, common foreign relations policy. At the 1963 OAU conference two distinct camps emerged: those who, led by Nkrumah, supported speedy move towards African unity; and, another camp that supported a more gradual approach that would focus on regional economic integration that would then broaden later. Even if the gradualism approach had merit at some point, it comes at a very high cost today. It’s so open-ended that it could take another 50 years with minimal success. In the meantime, many recent incidents confirm that Nkrumah’s worst fears continue to be fulfilled: collectively, a continent of millions exercises minimal control over its own affairs and the will of African leaders can be ignored with impunity. The former colonial powers are now brazenly involved in the continent’s affairs with impunity. In 2010, it was primarily France, Britain and Italy, all former colonial rulers, that successfully advocated for NATO’s military intervention and aerial invasion of Libya. The United States joined the campaign. The months of uninterrupted indiscriminate bombing led to: deaths of countless Libyan civilians; destruction of the country’s impressive infrastructure built with its oil wealth; and, the brutal murder of the long-time ruler Muammar al-Quathafi who in recent years had become the most vocal advocate of African unity. The Libyan debacle demonstrated Africa’s political impotence to the entire world. When the AU tasked South Africa’s president Jacob Zuma with leading an African-supported peace plan, he needed permission from NATO command to travel to Libya. Under the no-fly zone his plane could have been shot down. Zuma convinced al-Quathafi to sign on to the AU plan which called for: a ceasefire; a humanitarian corridor for civilians; and, internationally-monitored elections. The NATO powers instructed their insurgents not to sign on. The powers had no interest in democracy in Libya; each coveted the country’s vast oil and natural gas supplies. Today Libya is in chaos — no one is talking about democracy or accountability and liability for NATO’s destructive war which replaced a stable state with anarchy and also promoted the ethnic cleansing of Black Libyans, including the annihilation of the city of Tawargha. Similarly, in the Ivory Coast, it wasn’t an African solution that broke the stalemate between Alasanne Quatarra and Laurent Gbagbo, both of whom claimed they had won presidential elections. France’s air-forces turned the tide in Quatarra’s favor and routed Gbagbo’s army; the loser is now at the Hague, awaiting trial by the International Criminal Court (ICC), which has become an agency for enforcing the political will of Western countries. Quattara’s own armed forces continues to commit atrocities, without a murmur from the ICC since he’s the anointed Western leader. After the collapse of the al-Quathafi regime, radicals seized sophisticated weapons from his destroyed army’s armory and invaded Mali, seizing nearly half of the country. France sent an intervention army to clean up the mess it had helped precipitate since some of the radicals who invaded Mali were the same forces that NATO had empowered in Libya. In the Central African Republic (CAR), France maintains an army in the capital of Bangui. In Mali, the French army was decisive in helping to repel the invaders, including from Timbuktu. Yet, in the CAR, the French army stood by and allowed rebels to seize control of the capital; clearly the deposed regime no longer fulfilled France’s own interests. In Libya, France and Britain still hope to be rewarded, when the smoke clears, with favorable terms for oil and natural gas concessions; in the Ivory Coast, as in Mali, France has re-established a neo-colonial relationship; and, the CAR has always been a French neo-colony. These are the kind of conflicts, conducted by weak and myopic African rulers and role players on one side; and their accomplices, Western regimes and unscrupulous corporations on the other side. As other regions of the world, in Asia, Europe, South America, move towards regional economic and political integration, in many parts of Africa the politics are retrogressing and conditions resemble the “banana republic” era that once bedeviled South America. We now see how Nkrumah’s fears have come to fruition when even an eroded power such as France can exercise such disproportional control and influence over Africa’s destiny and over events on the continent. Until China became unified in the 1950s, Western countries used to treat China the same way as African countries are dealt with today: Now China has emerged as a major economic and political power globally. There is no question that a United States of Africa offers the key for Africans to seize control of their destiny and this is what the younger generation of Africans must demand. Young Africans must demand for elected progressive governments that are accountable to voters and then push these governments to embrace African unity as an imperative. A United States of Africa would eliminate many of the conflicts, including the most bloody ones such as the ones between Hutus and Tutsis in Rwanda and in Burundi; and the genocide in Congo by Rwanda’s and Uganda’s armies and militias. Moreover, Rwanda’s Gen. Paul Kagame and Uganda’s Gen. Yoweri Museveni would no longer have the powers to order illegal invasions of any territory in Africa. A United States of Africa would allow the continent to negotiate for fairer terms of trade since Africa would speak with the clout of a powerful government and a huge single market for goods and services. A United States of Africa would combine all the militaries into one powerful continental Armed Force capable of repelling any foreign armed transgressions. Africa would also be able to demand the removal of foreign military bases from the continent. The choice is clear: Africa must embrace Nkrumah’s vision.